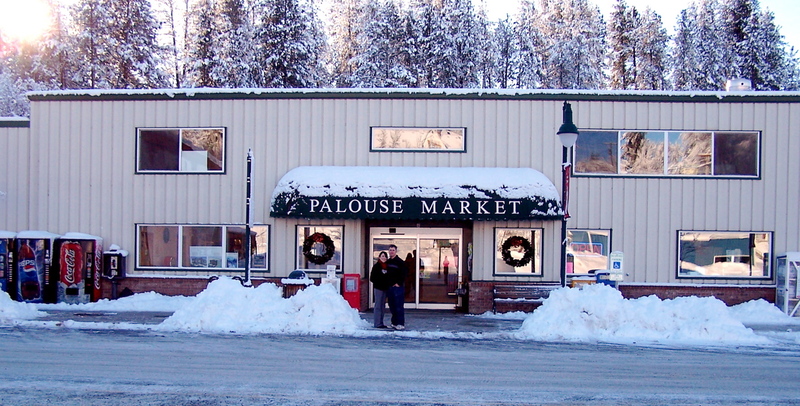 McLEOD'S PALOUSE MARKET: A one-derful, one-of-a-kind, once-in-a-lifetime New Year! A one-derful, one-of-a-kind, once-in-a-lifetime New Year! I couldn't resist launching this blog on such an auspicious day! Like the market itself, I hope it becomes a comfortable place where folks stop by. 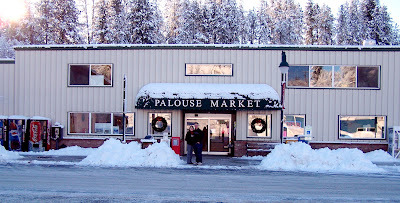 As my profile notes, my husband and I are lucky enough to own the grocery store in the amazing town of Palouse. My husband is an old-school, lifelong grocer. He loves all things grocery. So, as you can imagine, buying the market a few years ago was the realization of a dream come true. I love the market, too. But, I'm a behind-the-scenes kind of gal. You'll find me on the 'floor' from time to time, but I'm much more comfortable away from the hustle and bustle and since most of my work is done in the office, it's been a great fit. So, why start a blog? Well, in a sense, it's my New Year's resolution. In my past working life I was a writer/photographer, and a blog seemed a natural fit to exercise those skills again. In posts to come, I plan to showcase new store items and special deals, share some of the uniquely Palouse events in our town, post photos from in-and-around our incomparable region, and write a bit about the common threads that bind our lives together. As 2010 fades into history, I'm reminded of the great and unexpected joys our own family experienced. Yet, along with the good times, there were hard times, too. Each year it seems brings some of each...and usually much more of one than the other. So, my wish for my family and yours in 2011 is that laughter outweighs tears, joy surpasses sorrow, and the good times outweigh the hard times for us all. Wishing you all a Happy Happy New Year!